The following organizations are current sponsors who provide us meeting space and other services. The GOOD Network meetings would not be possible without them. 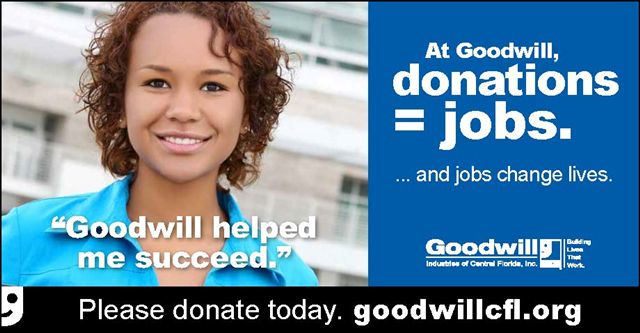 Goodwill Industries of Central Florida provides a large meeting space for our bi-monthly meetings. Their service to the GOOD Network is much appreciated. UCF Continuing Education extends SHRM professional development credits to our GOOD Network programs that qualify for credit. GOOD Members receive discounts for UCF's HR Courses. Learn more here. Valencia College provides classroom space for several of our Communities of Practice meetings. Richard Welebir Photography has given permission us to use several of his Orlando area scenic photographs on the website.